As we step into December it’s officially socially acceptable to begin displaying Christmas decorations (or alternatively, it’s no longer acceptable to shout at people who displayed decorations in November). As we enter our busiest trading period of the year, I say to the brewers out there: make hay, have fun, celebrate, stay safe. 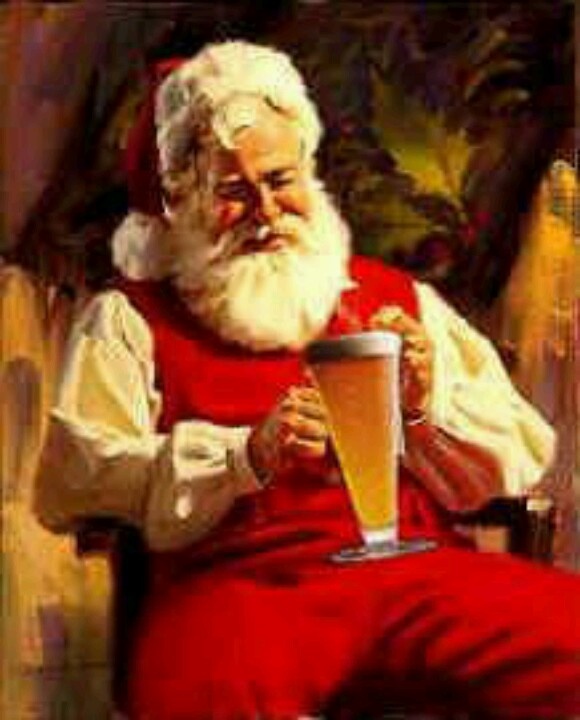 But whatever you do, do not attempt to Photoshop beer into Santa’s hands, unless you know what you are doing. It looks cheap. The resolution is terrible. Nothing matches. Don’t do it. Instead, I will do it for you. I’m a little handy with Photoshop, as seen here, here and here. For the low, low price of one six-pack of your beer, I will Shop your bottle/can product into Santa’s hand. As a bonus: for the price of one case (24 x 330ml or 12 x 500ml), I will even adjust the angle of the beer level and/or remove the bottle cap. Pretty tidy and I have a fast turn-around. To take up this offer, contact me via twitter, and send me a high-res photo of you bottle product. Then sit-back and watch the Christmas orders roll in!